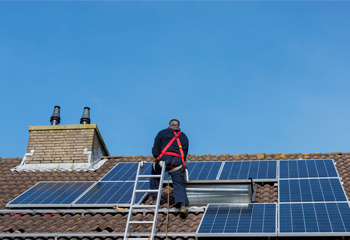 A few months ago, the California Energy Commission approved a game-changing plan for the future which requires, by law, most new homes in California to have rooftop solar panels starting in the year 2020. The commission has an aim to improve the states energy efficient standards and the effort to reduce greenhouse gases. With this new plan comes the question of housing cost increase. The requirement will be placed upon most single story homes as well as apartment and condo complexes up to 3 stories. The mandate applies to those obtaining a building permit after Jan 1, 2020. Some of the experts express the concern that the cost of building new homes will worsen in the states already increasing housing cost crisis. Adding an extra $25,000 to $30,000 is no small cost increase. Mainstreaming solar power will bring a few pressing issues to homeowners as far as housing costs but the California Energy Commission and clean energy advocates say the extra cost will be very easy to make up in the lower energy bills over time. Of course, that has always been the selling point, cost savings over time, which also has attracted the construction industry to embrace solar. In 2019, a new rate structure will be introduced that will charge California customers based upon the time-of-day they use electricity. If they use an energy saving feature like a battery to store the energy, it will avoid higher costs because of efficient storage use. “California is about to take a quantum leap in energy standards,” said Bob Raymer, technical director for the California Building Industry Association. “No other state in the nation mandates solar, and we are about to take that leap.” The construction industries will have some issues to resolve in regards to the new regulations and can seek help from those who know the laws the best like Pensacola Real Estate Law Attorneys, McDonald Fleming Moorhead. Stocks in the industry have also jumped and according to Fanger, will largely benefit companies in the industry. “Overall, we expect with California’s mandate some companies within the solar and broader renewable industry stand to benefit positively, including those who make panels and component parts, as well as those who assist with installation and ensure efficient use of energy,” said the stockholder Dave Fanger, CEO of Swell Investing, who currently holds stocks in solar/related portfolios with Green Tech and Renewable Energy portfolios. The vote seems to have advanced the vision of the future for California. Other states as well will watch the new solar energy movement unfold from the sidelines, perhaps to contemplate jumping on the bandwagon to the new future. Envisioning a future with solar-powered electric vehicles, heat pumps, water heaters and more just supports the use of homeowners having the capability to charge and re-charge their personal belongings through their own personal home.